Are you called to International Missions? Would this be part of God’s plan for you or your family and friends? God’s doing amazing things among the lands of Haiti; join us in praying and supporting those going to Haiti to reflect God’s light as brightly as possible! The 2019 trip is being planned! Please stay tuned for more info! 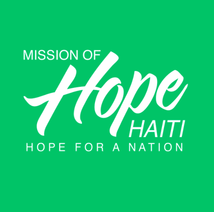 ​For more information about Missions of Hope International, please go to their website. This ministry partners with the United Methodist Committee on Relief (UMCOR). Local churches are encouraged to collect items for the UMCOR Health Kits. These hygiene kits provide basic necessities to people who have been forced to leave their homes because of human conflict or natural disaster. Hygiene kits are also used as learning tools in personal hygiene, literacy, nutrition, and cooking classes. Listed below are even more national and international organizations we support!